That’s right. It’s time for Process Bliss to talk Christmas – or more specifically, the Christmas shut down. Those wonderful few days we all look forward to where we retreat into our homes, get cosy on the sofa with a large glass of mulled wine, turn on the TV and feast to bursting point. But are we ALL going to be home? Figures published by the Office for National Statistics show that 3.3% of those in employment, equal to 1 in 17 employees, are working on Christmas Day. And that number can increase significantly depending on the sector; in the healthcare sector, 23% of care workers are turning up for work on Christmas Day. Furthermore, industry research published on smallbusiness.co.uk reveals that many SMEs use the festive season to get their house in order. Looking to start the new year afresh, nearly a third (29%) of SMEs are planning to declutter and deep clean their office over Christmas. So maybe you can’t crawl into that onesie just yet! In reality, most businesses will operate on some level over the festive season. 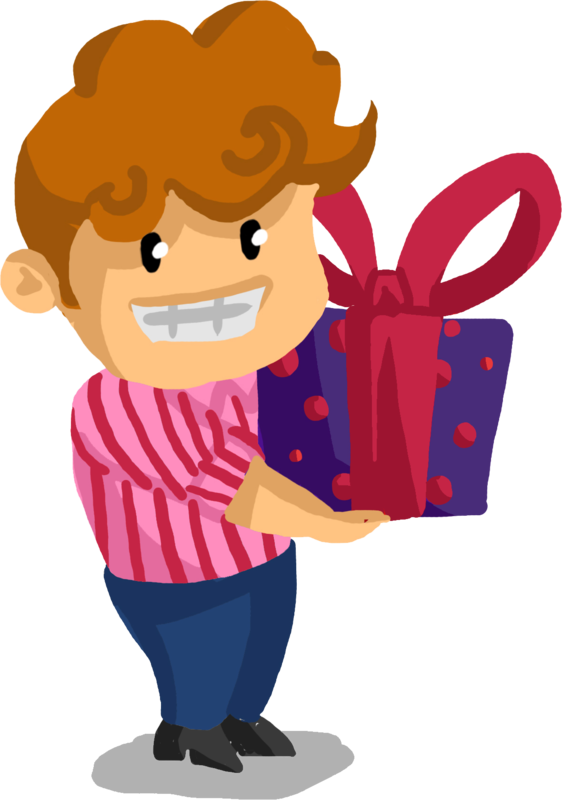 Whether it’s retailers looking to hook Boxing Day sale shoppers, restaurants hosting family get togethers, IT providers maintaining a support desk function, freelancers penning a few more nuggets of inspiration, or marketing agencies maintaining a skeleton staff, you need to consider how you operate efficiently and effectively over the Christmas shut down. Start by brainstorming all the things you absolutely NEED to keep running over Christmas. For example, as a SaaS provider, we need to ensure our application remains running at all times. Then think about what you WANT to do. For example, we’d love to add our ‘why on the wall’ (i.e. the reason we exist) to the office. Involve everyone; get people from every department to throw their ideas into the mix so you have a comprehensive list. Then start grouping tasks. For example, taking down the decorations, clearing desktops, emptying the fridge and putting cups in the dishwasher can all be grouped under ‘cleaning’. Finally, assign tasks to people and make them responsible for completing them – this is a group effort after all. And the best bit about this? We’re all ready for next year too. And the year after. 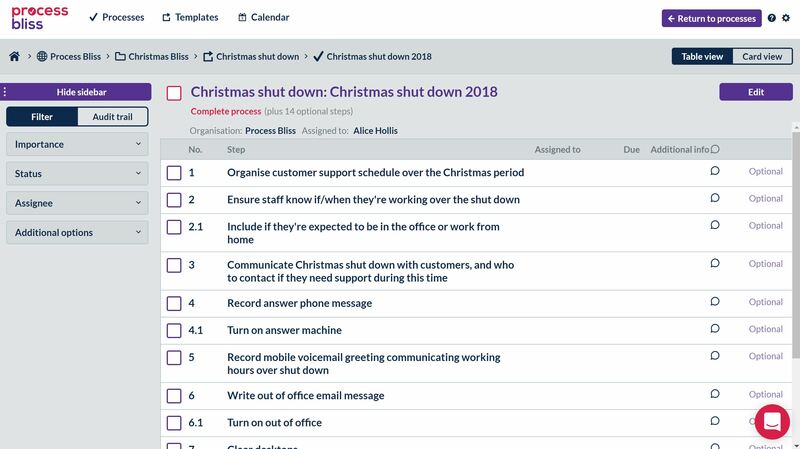 Because all we need to do is run the process again, adding/deleting steps as appropriate and ensuring our Christmas shutdown process is really sh*t hot! Getting your Christmas shut down process on Process Bliss is easier than you think. Just register for a free account and get started. If you get stuck, contact a member of the team through our Live Chat. Alternatively, if you want us to do it for you, why not book a demo? Don’t you deserve some Christmas Bliss this year? !